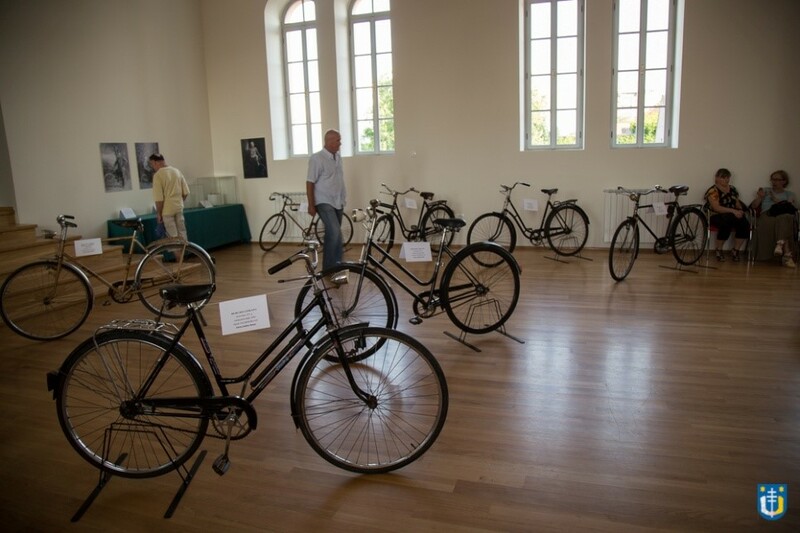 On Friday, 12 June 2015 the exhibition ”The Bicycle in History” opened in the hall of the Tourist Information Centre in Križevci. Mr. Tomislav Katanović, the deputy mayor of Križevac, opened the exhibition by emphasizing the importance of the BA Biking Project to the city and by expressing his satisfaction with the organization of an exhibition with a new theme that had not been presented here. 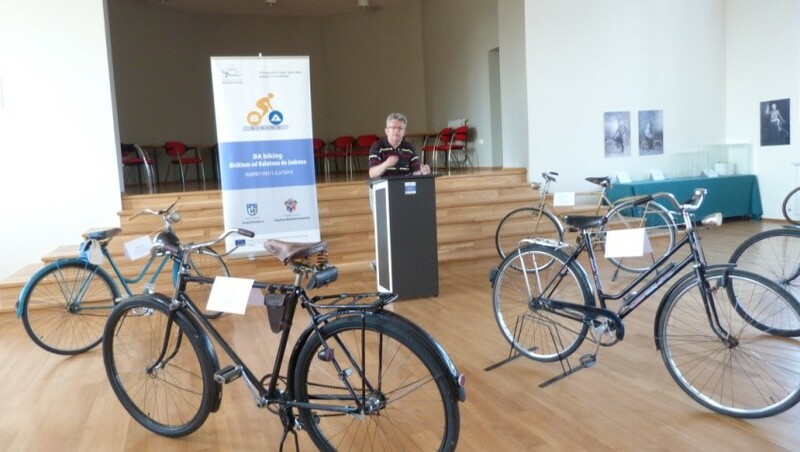 Professor Zoran Homen, who conceived and set up the exhibition, presented the exhibition materials and he also presented sketches and interesting sidelights of the history of bicycling in Križevac to visitors. The exhibition was open on Saturday, 13 June, and Sunday, 14 June, and was visited by about 270 people during the three-day period. 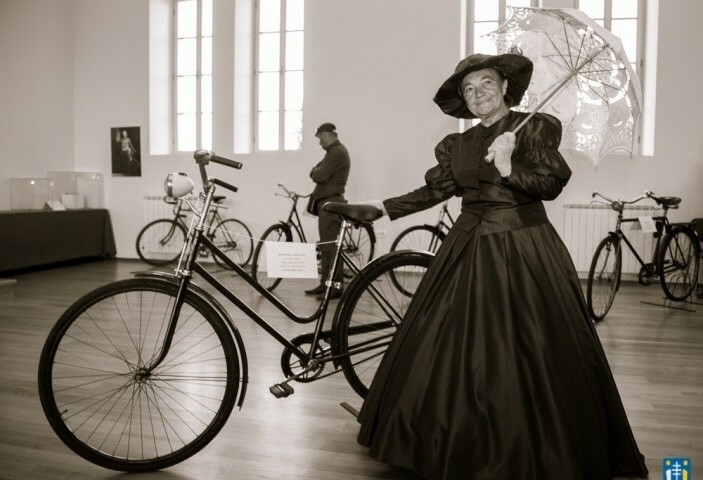 The exhibition was organized as part of the project ”By Bicycle from Balaton to the Adriatic,” which is co-financed by the European Union through the IPA Cross-Broder Program for Hungary-Croatia, 2007-2013 and carried out by the city of Križevac the district of Balatonszemes in Hungary.